Jeffersonville, Vermont is known for the numerous ski resorts nearby, but more interestingly, it’s also located by the foothills of Smugglers’ Notch. During the 1800’s, the U.S. Congress placed an embargo on the imports of all English goods. In an attempt to skirt this, the British shipped their goods to Canada and smuggled them down what became known as Smugglers’ Notch Pass. Why this is important (besides being a cool bit of history), is because that same trail was again used during Prohibition to smuggle alcohol. With this little bit of interesting booze history in tow, the father and son team of Ron and Jeremy Elliott opened Smugglers’ Notch Distillery in 2006. Ron, a retired business executive, and Jeremy, a research chemist in the pharmaceutical industry, used their backgrounds to open a distillery well before the craft distillery boom, and focused on all types of spirits. Their current whiskey lineup consists of a straight bourbon, rye, wheated whiskey, and a bourbon finished with 100% pure Vermont maple syrup. Smugglers’ Notch Straight Bourbon opens with a rush of vanilla and caramel followed by lemon and orange citrus on the nose. It’s traditional, yet satisfying. The palate is quite sweet at first sip, allowing for an interesting interplay with the bourbon’s spicer and hotter side. This caramel and butterscotch sweetness also makes it an easy sipper for a 90 proof bourbon. Oak takes over on the finish providing a heavy contrast to the palate. This is a bourbon very segmented, unlike some bourbons’ palates that gently flow into their finish. It also has a lingering aftertaste of chocolate, caramel, and grain notes that adds to this bourbon’s distinct parts. Smugglers’ Notch Straight Bourbon isn’t necessarily a cohesive bourbon and instead provides a bit of a roller coaster ride of its flavor profile. Despite being open since 2006, surprisingly this is a sourced bourbon, which the Elliotts then age, blend, proof with Vermont water, and bottle in Vermont. It does taste a little grainy on the aftertaste, but overall it’s a fun sipper. Pursuit Spirits was created by Kenny Coleman and Ryan Cecil who also host the Bourbon Pursuit Podcast. 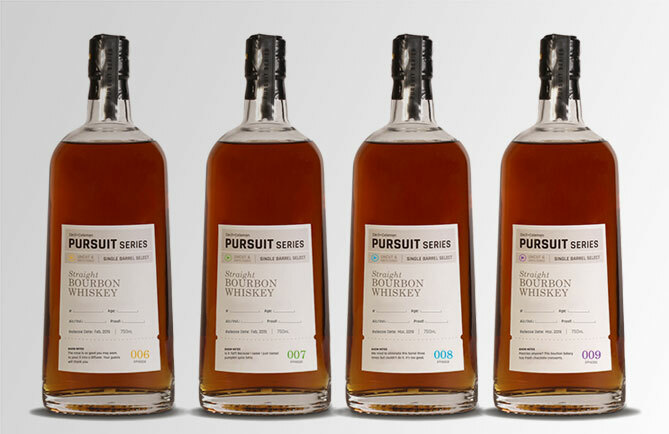 Their bourbon is currently bottled under the Pursuit Series brand, with each distinct single barrel being designated as a different Episode. For a more in-depth look at the brand, check out the interview Nick conducted with the co-founders last year. ‍Episode 006: A light sip overall, the nose displays light notes of brown sugar and marshmallows. The palate is sweeter with brown sugar, vanilla, light caramel, and marshmallows carrying through. The sip finishes short and sweet. Honey and brown sugar mingle with hints of leather and oak. ‍Episode 007: The sip starts with a really expressive nose that draws you in. It’s comprised of extremely rich baking spices that mix with a nice base of oak and chocolate Babka. The palate is a butterscotch and vanilla mix with leather and slightly tannic oak. The sip finishes with baking spice and a slight amount of warm heat. Spice lingers for a long time with charred oak coming forth at the end. A really great sip that makes me want to drink this around a fire on a crisp fall night. ‍Episode 008: The simplest of the four. A simple nose of charred oak and vanilla flows into a simple palate of sweet vanilla, oak, and light caramel. The finish follows in the same vein with vanilla and lightly charred oak. 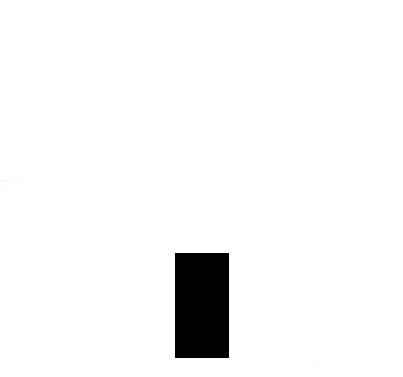 This stands out more for the fact that it’s so simple and unremarkable compared to the rest. ‍Episode 009: This Episode is in a similar vein to Episode 007. The nose contains those baking spices and oak but they’re not as bold. The palate is sweet yet more tannic, with caramel and vanilla being most prominent along with tannic oak. It finishes with a warming heat which showcases marshmallows, burnt brown sugar, and lightly charred oak. While all of the Episodes are distinct, they also clearly contain a familiar backbone. They’re all interesting, however Episodes 007 and 009 stand out well above the rest. These truly piqued my interest, with Episode 007 drawing me back in for sip after sip and a bottle I’ll try to pick up before they’re all gone. Tasting all Episodes side by side was a good reminder of just how different single barrel bottlings can be from one another. 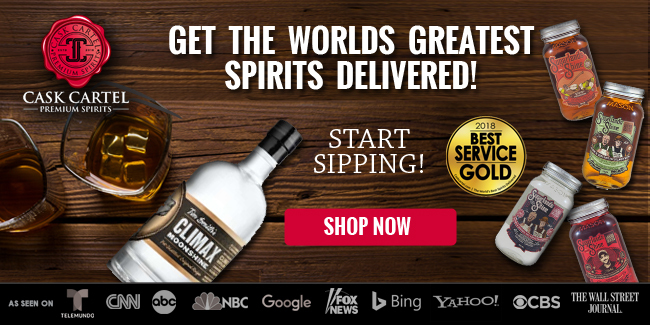 ‍The samples used for this review was provided at no cost courtesy of Pursuit Spirits. We thank them for the samples and for allowing us to review them with no strings attached. 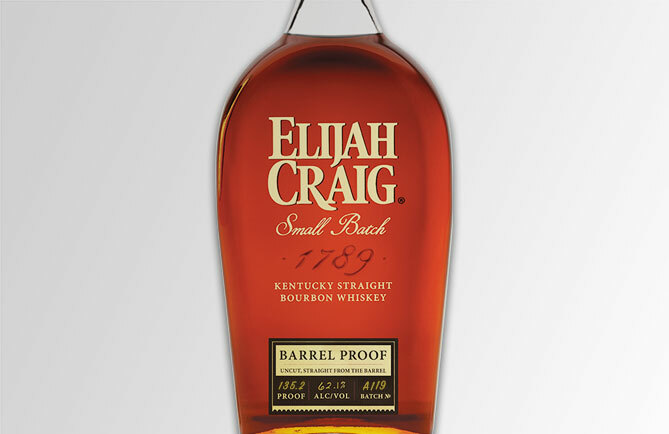 Heaven Hill launched Elijah Craig Barrel Proof as a brand extension of their popular Elijah Craig brand in 2013. Since the initial launch, the brand has blossomed in popularity and the three yearly batches are still highly sought after by consumers. Elijah Craig Barrel Proof still carries a 12 year age statement and in a sea of barrel proof bourbons, is sold at a competitive price point. Barrel proof bourbon batches can typically be identified by their proof, though that can be misleading as the proof could be the same from batch to batch depending how the cards fall. Fortunately, Heaven Hill makes identifying batches an easy task by assigning each a code - this one being “A” (for first batch of the year) - “1” (released in January) - “19” (released in 2019). Surprisingly light on ethanol for the proof, the nose delivers a rich dose of dark fruits, oak, burnt caramel, toffee, and a hint of fresh baked pie crust. An oily sip coats the mouth and delivers a touch of sweetness along with vanilla, tannic oak, and a healthy dose of heat. The heat from the sip is carried over dominating the start of the finish. As it starts to diminish, slight hints of vanilla, caramel, and the dark fruits from the nose re-emerge. The finish is long and lingering with heat and mild oak. Overall this is a big bold batch of Elijah Craig Barrel Proof that delivers a rich pour from start all the way to finish. The nose is fantastic and lulls you into believing that this will be a tamer batch for the brand until you take a sip and get plowed over by the intensity of its 135 plus proofpoint. While it may not win accolades like Batch B517 did in 2017, overall this is a great representation of Elijah Craig Barrel Proof and will please many who seek higher proof bourbons. 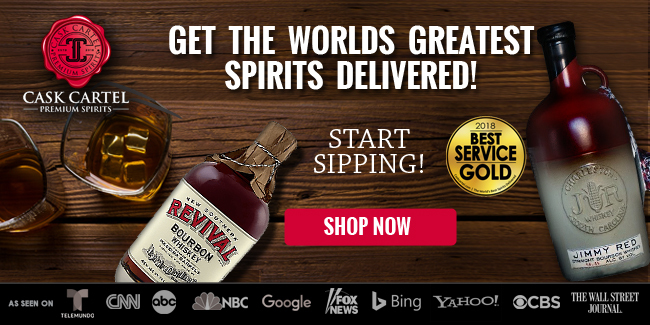 ‍The sample used for this review was provided at no cost courtesy of Heaven Hill. We thank them for the sample and for allowing us to review it with no strings attached. 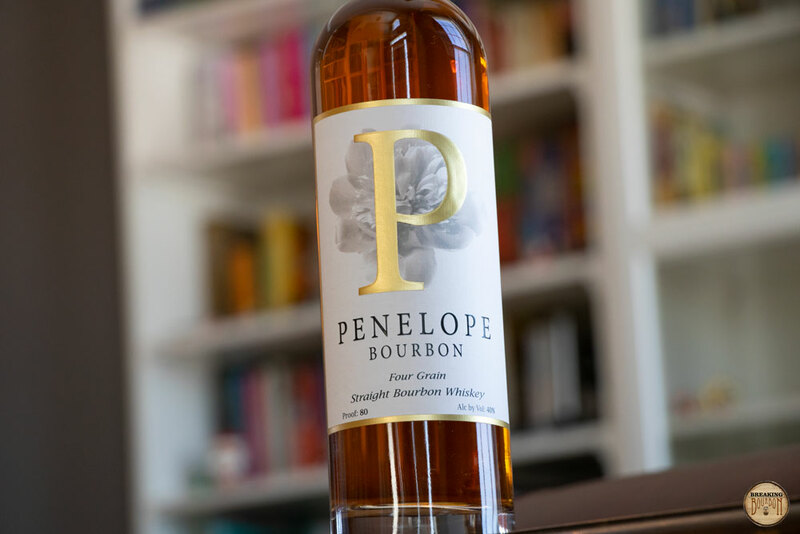 Penelope Bourbon was created in 2018 by lifelong friends Mike Paladini and Danny Polise. The name is a nod to Mike’s daughter Penelope. The bourbon is a blend of wheat and rye bourbon mashbills, which are aged separately before being blended and bottled. The bourbon is aged in barrels charred with #4 staves and #2 heads. This first batch of Penelope Bourbon is comprised of 6 barrels totaling 1,900 bottles. The bourbon’s youth is evident as you bring the glass to your nose. Grain, corn, vanilla, and hints of Tabasco make up this lighter and slightly spicy nose. The softness from the wheat along with the lower proof lends to a soft, thinner palate. Vanilla and oak are present along with hints of orange zest and sweet raisins, although you have to really hunt to find them. A dash of light pepper, reminiscent of the Tabasco flavor found on the nose along with a touch of vanilla make up the shorter finish. There’s no denying that this is a young bourbon as its youth is present throughout. With little distinguishing traits, long time bourbon drinkers will most likely walk away indifferent to Penelope Bourbon. That said, this bourbon seems to be aimed squarely at those new to the world of whiskey, specifically from their choice of marketing as an under 100 calorie pour, to using a wheated bourbon to soften its flavor profile. The end result though is exactly the type of whiskey I’d pour for someone looking to try bourbon for the first time. It’s a light, easy sipper that will make those new to bourbon realize that yes, bourbon can be an approachable spirit that is enjoyable to drink neat or on the rocks. ‍The sample used for this review was provided at no cost courtesy of Penelope Bourbon. We thank them for the sample and for allowing us to review it with no strings attached. Old Fourth Distillery was launched by five friends (two of whom are also brothers) in 2013 with the aid of a Kickstarter campaign. Atlanta’s first legal distillery since 1906, Old Fourth Distillery started distilling in November 2014. Initially releasing vodka and gin, bourbon and whiskey were always part of the plan. But the friends decided to give it time. 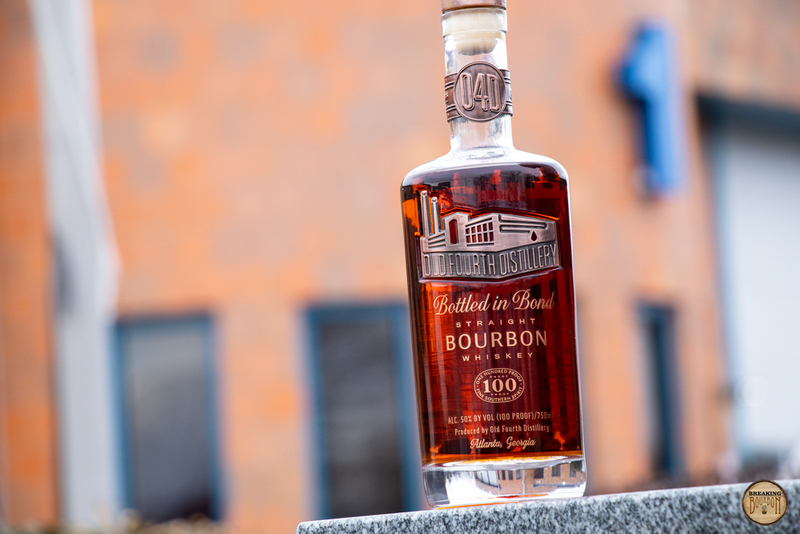 In February 2019 they decided to go big with a Bottled in Bond bourbon comprised of 75 barrels originally laid down in January 2015. An additional 120 barrels are expected to be released in 2020. Each bottle is adorned in their ornate design featuring metallic emblems and a handwritten bottle and barrel number. The back of the bottle features an image of an old trolley maintenance barn that used to be located on the same street as the distillery. Looking closely at the back of the bottle reveals a DSP number, DSP-IN-15023, worked into the image above the door of the trolley barn. The number heralds from the transfer in bond paperwork provided by MGP, who Old Fourth contracted to distill this bourbon (though it does not match MGP's DSP number of IN-15016 listed in the TTB database). According to company co-founder and head distiller Jeffrey Moore, Old Fourth created their mash bill and distillation methods in Atlanta beginning in 2012-2013 with a small fractional still made by a company called Ferromit. They later obtained and installed a CARL 450 liter still, but demand for vodka production and plans for larger quantities of whiskey production caused them to search for a contract distiller who could meet their expected demand needs. ‍The sample used for this review is from a production bottle and was provided at no cost courtesy of Old Fourth Distillery. We thank them for the sample and for allowing us to review it with no strings attached. 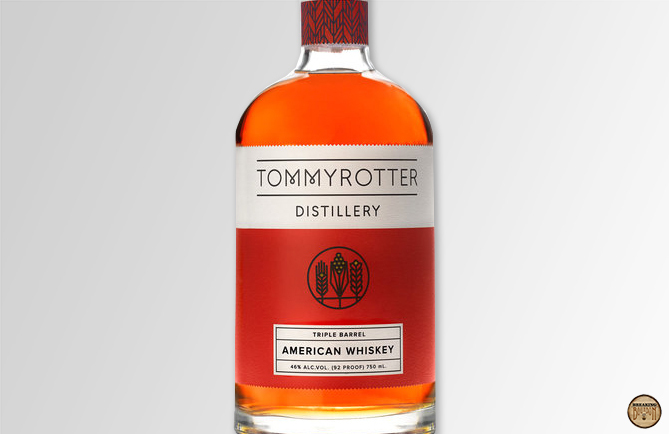 Tommy Rotter Distillery is named after a band of rebellious artisans who in the early 20th century who broke rank from the Arts and Crafts Movement to create for creation’s sake, according to the company’s website. Located in downtown Buffalo, NY in a 115-year-old paper box factory, owners Bobby Finan and Sean Insalaco seek to capture this conscientious spirit with their distillery and products. Like all of their products, this whiskey is presented in the company’s simple and trendy label design which is accented with thin type and a single bold color for each product. The company’s Triple Barrel American Whiskey is a blend of two sourced bourbons made in Indiana and a whiskey made in Tennessee, then finished in French oak red wine barrels. The youngest whiskey in the blend is a year old, which probably accounts for the whiskey’s very light coloring. The nose features very mild notes of grain and oak that are overtaken by slightly stronger flourishes of grape, raspberry, and vanilla. Light and fruity, the nose is quite welcoming. The whiskey tastes on the thin side with flavors of vanilla and grape struggling to spring forward. It’s not at all overly grain-forward despite of this or its age. It finishes a bit hot for a 92 proof whiskey, which makes it hard for its flavor profile to shine. Despite this, Tommy Rotter Triple Barrel American Whiskey is a nice sipper in its current state, but it’s clear the whiskey needs some additional time in the barrel for the flavor to develop into a stronger presentation. ‍The sample used for this review was provided at no cost courtesy of Tommy Rotter Distillery. We thank them for the sample and for allowing us to review it with no strings attached. KO Distilling was founded in 2013 by Bill Karlson and John O’Mara. In 2015, the distillery opened their doors in Manassas, VA with their first aged whiskey hitting the market in 2016. 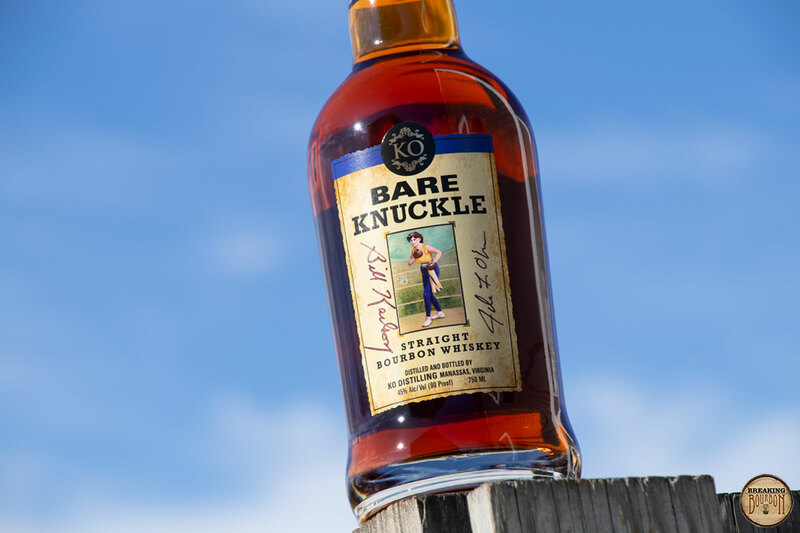 Bare Knuckle Straight Bourbon Whiskey is their oldest aged offering to date at two years old. Its youth is readily apparent as the nose brings forth a lot of grain and young oak. Corn leads the way with soft wheat, crisp apple, and a layer of young oak lingering behind. Sweet corn and vanilla form the majority of the palate with a thin layer of caramel hiding beneath. The finish again brings forward the youth of the bourbon with grain and wood dominating along with a slight dose of heat. This is a young bourbon and it readily shows its age. The youthful notes are apparent throughout the sip. However youth isn’t necessarily a connotation for bad, and it will be interesting to see what a few additional years in the barrel brings forth for this line. In the meantime I’m looking forward to using this to mix up some cocktails that call for a more of a grain forward profile. The sample used for this review was provided at no cost courtesy of KO Distilling. We thank them for the sample and for allowing us to review it with no strings attached. 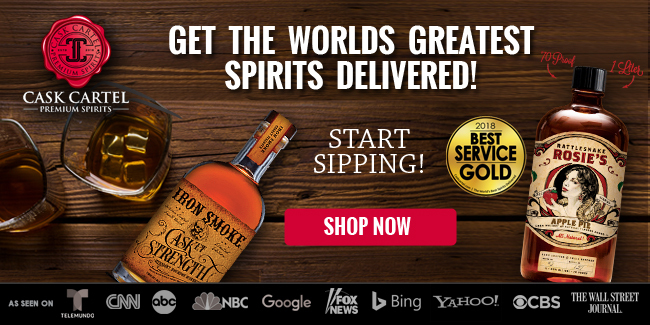 Iron Smoke Distillery is located a little over an hour west of me, in Fairport, NY. Iron Smoke Distillery opened their current distillery in 2014 after renting space in Seneca Falls for the prior two years. 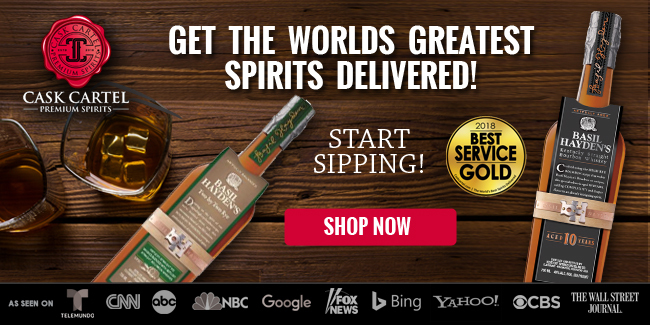 Their whiskey became available for sale in 2014, and the company has rolled out a number of products since then. Their old-timey feel and skull theme mesh especially well with the appropriately named CASKet Strength, a straight, uncut, and unfiltered bourbon aged in triple charred oak barrels clocking in at 120 proof. 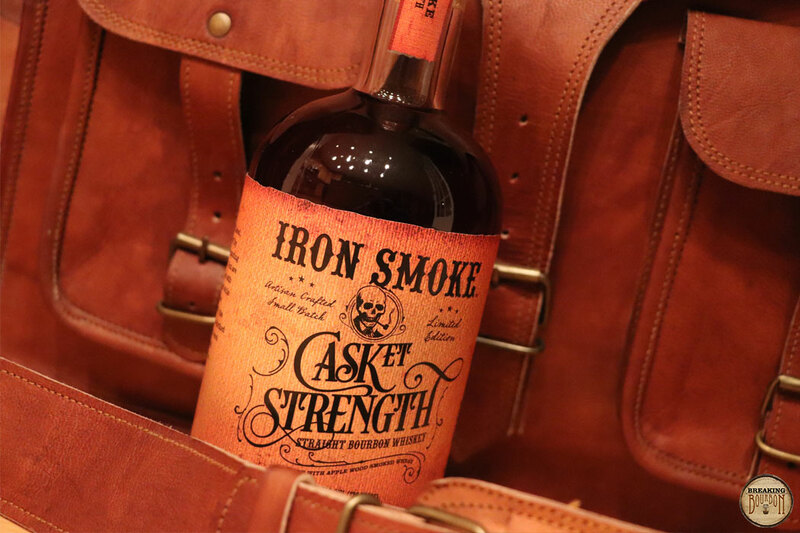 Iron Smoke is proud to note it contains only their own distillate, and it represents the first of many small batch releases under the label. Not shy on the nose, waves of burnt brown sugar and raw grain lend to the bourbon’s age and proof. A blast of spice delivered in a viscous mouth-coating sip brings a dose of heat that makes its way into the nooks and crannies of the mouth. A touch of barrel char along with light grain are present. The spice sticks around, making for a long lasting finish that develops into sweeter notes of molasses and caramel towards the end. A light trace of cinnamon also develops. It doesn’t hide its age, allowing the younger grainy notes to show through though it finds its way beyond them in the finish. CASKet Strength is appropriately named, as it’s bold and rather brash at 120 proof. It showcases the distillery’s ability to create a quality bourbon, and I love the label and play on “cask” strength fitting for the brand. Because the distillery is relatively close, I look forward to visiting sometime soon. ‍The sample used for this review is from a production bottle and was provided at no cost courtesy of Iron Smoke Distillery. We thank them for the sample and for allowing us to review it with no strings attached. 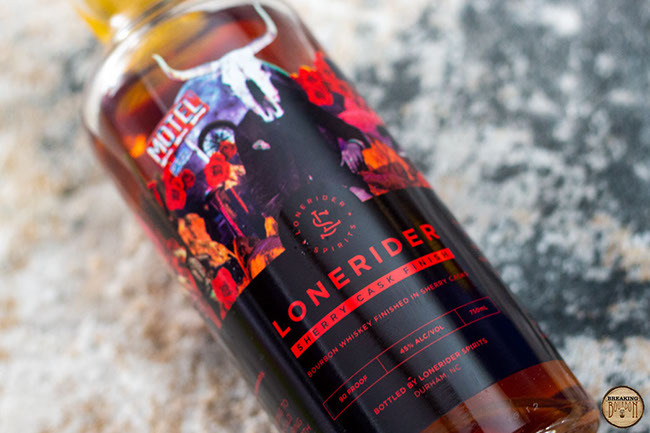 Lonerider Spirits is the sister distillery of Lonerider Brewing Company, which is known for their standout gunslinging label design of their beers and their award-winning Sweet Josie Brown Ale. They are also Raleigh, North Carolina’s first-in-market bourbon whiskey according to the company. Their backstory may be laying it on a bit thick, but their label design is unique and their sherry cask finished whiskey is worth a taste. The nose is sweet with a focus on dark fruits and grain, with moments of pronounced punchiness. It’s a quite inviting aroma with its additional notes of honey, vanilla, and toffee. The palate’s heat is mild, giving its dark rich notes of cocoa, raspberry, and cherry a chance to shine. Its finish is mildly dry and features a lasting sherry and oak aftertaste. Its 90 proof may be lower than desired for some bourbon enthusiasts, but it’s a nice sweet spot for the intensity of its cask finish. Overall Lonerider Sherry Cask Finish is an easy sipper thanks to its fruitful sherry finish and on-the-mark proof. Its graininess is surprisingly noticeable for a MGP bourbon, and while not overbearing, it does provide a welcoming contrast to its finish. It’s hard to get too excited for a craft distillery sourcing a MGP bourbon and then finishing it, yet Lonerider Sherry Cask Finish is an enjoyable pour which is nicely constructed. Lonerider Sherry Cask Finish is available in ABC stores throughout North Carolina with out-of-market expansion expected this year. ‍The sample used for this review is from a production bottle and was provided at no cost courtesy of Lonerider Spirits. We thank them for the sample and for allowing us to review it with no strings attached. 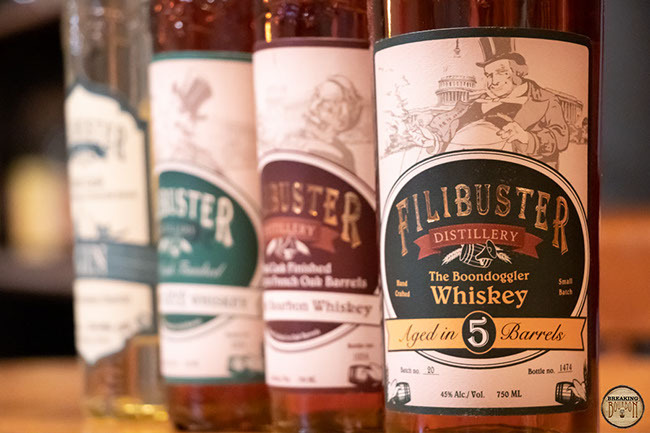 Filibuster Distillery enjoys experimenting with multiple casks, and it seems nothing they do conforms to the traditional aging process. The rye is first aged for two years in white American oak barrels, then aged for an additional two years in white wine seasoned french oak barrels. What results is something surprisingly developed and well-rounded. Cotton candy and creme brulee on the nose give way to a light warming spice on the palate. It’s robust for 90 proof, with cotton candy, gingerbread, summer fruit, and candy corn sweetness. Spice develops as the whiskey is rolled around in the mouth, delivered by a viscous mouthfeel. The spice amplifies and ultimately crescendos on the finish, which balances cinnamon with creme brulee sweetness. This sweet-spicy note lingers, making for a long and fantastic finish. ‍The sample used for this review is from a production bottle and was provided at no cost courtesy of Filibuster Distillery. We thank them for the sample and for allowing us to review it with no strings attached. 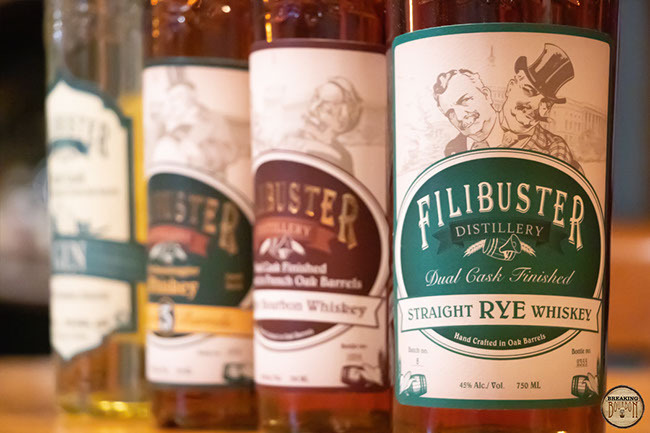 Filibuster Distillery was originally based in Washington, DC, not far from the Capitol Building (hence the name), before moving to Virginia. It is a women and minority-owned distillery that prides themselves on strong character and freedom of expression. Their bourbon and rye both feature what they’ve dubbed the “Dual Cask” process, which is a secondary aging step finishing their whiskey in wine-seasoned French oak barrels. 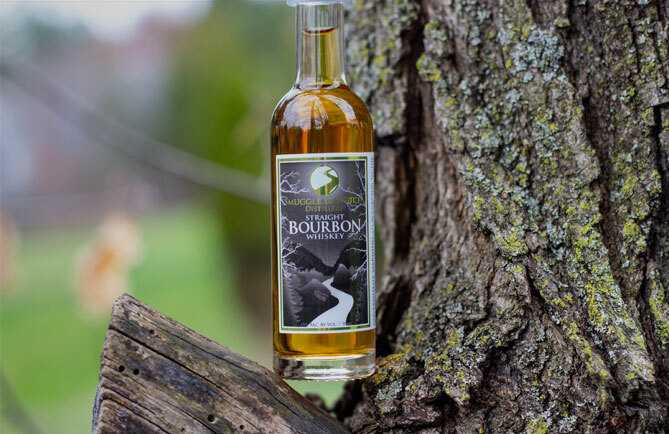 Boondoggler, which is a blend of various whiskeys, takes this to the next level by aging the blend of barrels used in the whiskey in each of five different casks. While the time aged in each of the casks is undisclosed, the distillery does state the type used, which includes New American White oak, Red & White wine-seasoned French oak, and Fino & Pedro Ximenez Sherry casks. Juicy is a odd way to describe a whiskey sip but if anyone could own it, it’s Boondoggler. The multi-cask finishing process is apparent right from the start, as the nose greets you with lush dark berries and summer fruits with slight hints of oak and grain behind them. The palate is so full of those lush berries and summer fruits they drown out any other underlying flavors. The summer fruits carry over to the finish and are joined with oak, fresh leather, and a touch of heat. ‍The sample used for this review was provided at no cost courtesy of Filibuster Distillery. We thank them for the sample and for allowing us to review it with no strings attached. Barrell Bourbon Batch 017 is a blend of Tennessee, Indiana, and Kentucky bourbons ranging in age from 10 years and 4 months to 15 years. It’s in the range of average proof and higher than average age compared with other bourbon batches in the Barrell Bourbon Batch lineup. Like other Barrell products, it is released uncut at barrel proof. A delicate array of scents forms a complex and inviting nose. Cinnamon, allspice, and a dab of buttered cornbread form the base. Dark fruit and raw grain also come into play. On the sip, allspice and rye give way to fruity notes of plum, apple, and apricot. Cinnamon and rye spice lead the finish, with barrel char and orange zest on the backend. This rush of spice on the finish transforms an otherwise rich yet tame barrel proof sip into a slightly more robust affair. Each batch of Barrell Bourbon is different, but as I experience each I do find underlying consistencies. An underlying spice and cornbread-y note are common traits. By direct comparison, I like Batch 017 a little more than 016, though the difference is marginal. Batch 017 has less spice, but more complexity. At 112.5 it’s a formidable proofpoint, however it’s very easy to sip, relatively speaking. It’s another great Barrell Bourbon - a premium bourbon at a premium price. 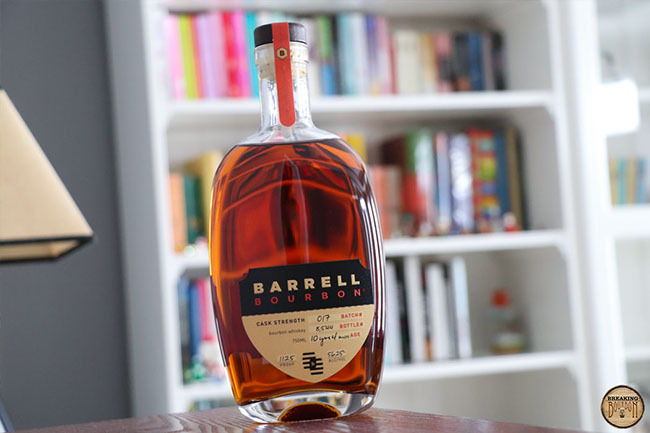 As Barrell continues to push the boundaries of flavor profile with their products, their bourbon batches, albeit each a unique blend, lend some consistency within the brand as they often seem to have familiar underlying flavor characteristics relative to one another. 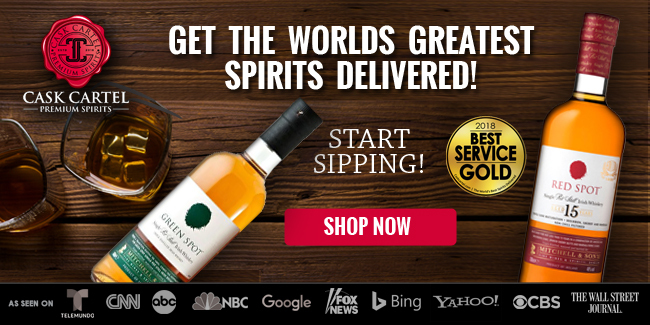 ‍The sample used for this review is from a production bottle and was provided at no cost courtesy of Barrell Craft Spirits. We thank them for the sample and for allowing us to review it with no strings attached. 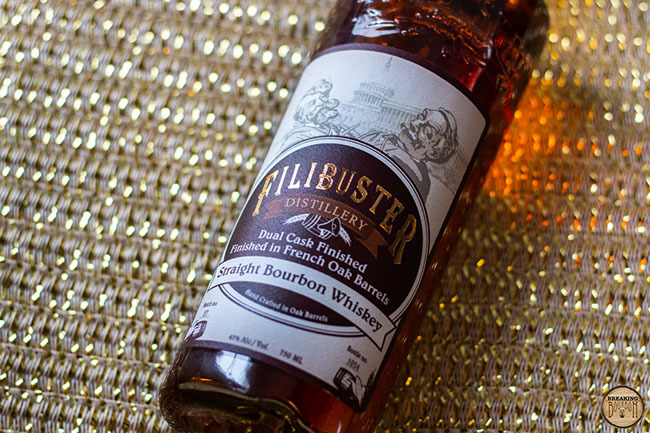 Distillery: Filibuster Distillery and MGP Ingredients, Inc. Right from the start the wine barrel finishing is noticeable, but nowhere near overpowering. It adds a gentle layer of sweetness and red fruit aroma to the nose and doesn’t drastically overpower the whiskey’s other notes of vanilla, pine, cherry and light grain. A cherry cola, vanilla, caramel, and black cherry comprise a palate that noticeably has a thin mouthfeel. There is slight heat on the finish that presents clean and crisp notes of mild spice, burnt caramel, and light grape. The whiskey’s mouthfeel and overall thinness works against it as its enjoyable palate doesn’t quite hit with the power it deserves. I appreciate the gentleness of the secondary finishing as it adds nuance without overpowering the whiskey’s base flavors. As a youngish distillery, the company’s brands have seen changes as they adjust the percentage of their own distillate versus their sourced stock. I like where the brand currently is, but I can also see where improvements can be made. Like any distillery, whiskey is a living thing and changes will be made. Its current iteration makes me curious what’s in store for this brand in the future. ‍The sample used for this review was provided at no cost courtesy ofFilibuster Distillery. We thank them for the sample and for allowing us to review it with no strings attached. Droptine 12 Point Bourbon is the inaugural bourbon by Droptine Spirits. Droptine sources their bourbon from an undisclosed distillery. 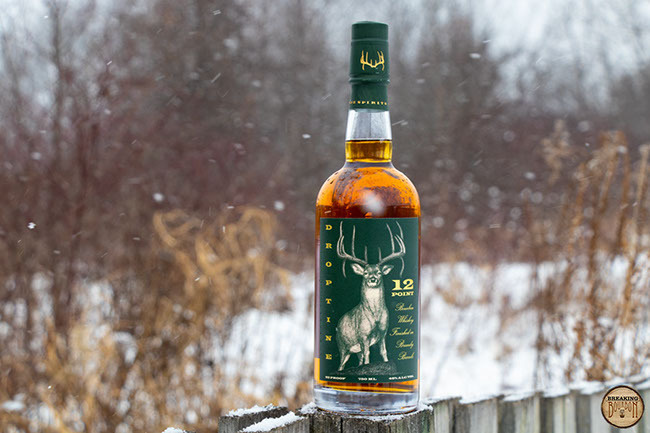 12 Point is a double barrel product with the bourbon initially resting in new charred oak barrels before being transferred to brandy barrels that were sourced from the Russian River Valley near Sonoma. 12 Point currently is only available for purchase online. The following tasting notes are based on Batch 1, Bottle Number 5748. The brandy influence is evident up front. The nose brings sweeter aromas full of rich molasses, vanilla, plum, and light syrup soaked raisins. The sip is rich and comprised of vanilla, oak, syrup, chocolate cake, and hints of dark grapes. The richness from the palate carries over into the finish, bringing with it a long lingering molasses, oak, chocolate frosting and hints of darker fruits. Droptine 12 Point Bourbon delivers a more well-rounded drinking experience than I expected to find from a new non-distiller producer (NDP) who chose to finish their inaugural bourbon release. Normally I’m leary of this route, but in this case the brandy barrel finishing is very clear from start to finish, and adds a unique, enjoyable element to the overall sip. It’s not a bourbon I see myself reaching for everyday, but more one that I’ll enjoy when I’m looking for something unique and different than the usual classic bourbon pour. It’s a nice reminder that when done right, barrel finished bourbons bring something to the table that you can’t quite get from a regular bourbon aging process. ‍The sample used for this review was provided at no cost courtesy ofDroptine Spirits. We thank them for the sample and for allowing us to review it with no strings attached. Jack Daniel’s set out to celebrate the art and skill of barrel making with the release of Heritage Barrel. According to the company, the barrels are slowly heated to achieve a deeper and richer toasted layer before being charred. The whiskey enters the barrel at 100 proof, a lower entry proof than standard releases, and was aged in the highest levels of the company’s highest elevated barrelhouse. This release is limited to 200 barrels, each bottled as a single barrel. A delicate yet rich array of fresh baked banana bread, french vanilla ice cream, cherry, and mild oak make up the nose. Really nice. The palate does a 180 and introduces pepper, cinnamon, toasted oak, and a mingling of baking spice. I would have liked a little more sweetness to help balance the spice notes, but this is quite a unique tasting offering. It finishes a bit dry and with a long mild oak aftertaste. This “Heritage Barrel” concept turns out to be more than just a marketing gimmick. The process used to make this created a flavorful and complex tasting whiskey. It’s still within the Jack Daniel’s flavor wheelhouse, but altered enough to justify itself proudly. Again, some additional sweet notes would have really made this whiskey an out-of-the-ballpark home run. Yet, this is a very enjoyable pour and worth seeking out immediately, as this limited release is already becoming difficult to find. 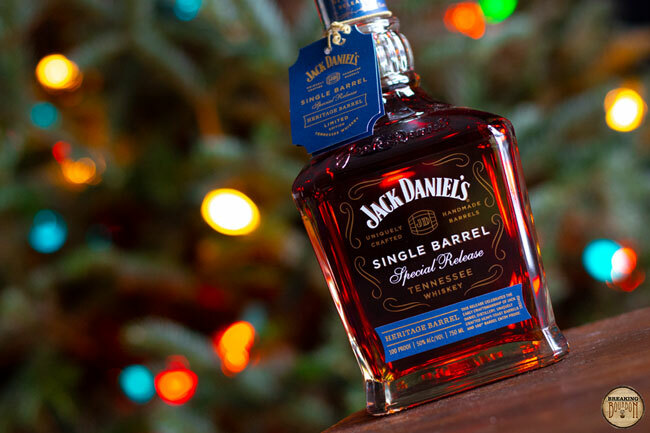 This is another well-crafted whiskey in the Jack Daniel’s Single Barrel Collection. 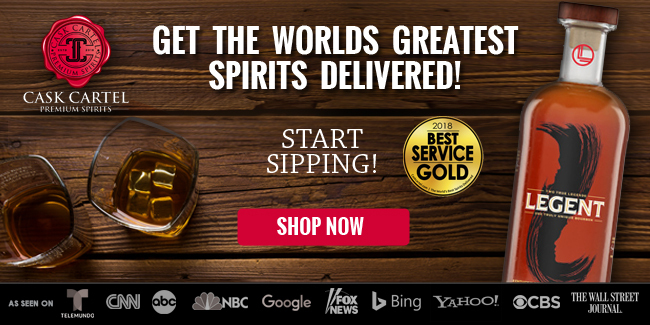 ‍The sample used for this review was provided at no cost courtesy of Jack Daniel’s. We thank them for the sample and for allowing us to review it with no strings attached. We ended up liking it and purchasing out own bottle after tasting it.